This was a beautiful day for a photoshoot in wedding attire. The sky was so limpid blue clear and the sun warm and summery. All the conditions were present to achieve great pictures. We started at the Roman Pantheon exploring how the light was shining through the ancient columns finding new angles and prospective. The columns outside are just perfect for finding converging lines. We alternated shooting some color images as well as black and white. Then we stepped over sampietrini stones to reach San Ivo alla Sapienza. An stunning landmark with an incredible courtyard. 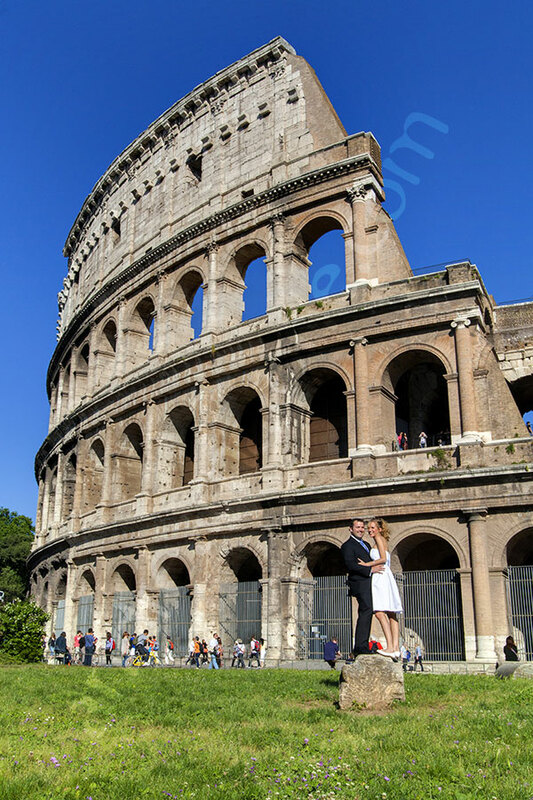 I could spend hours photographing in these spectacular locations! 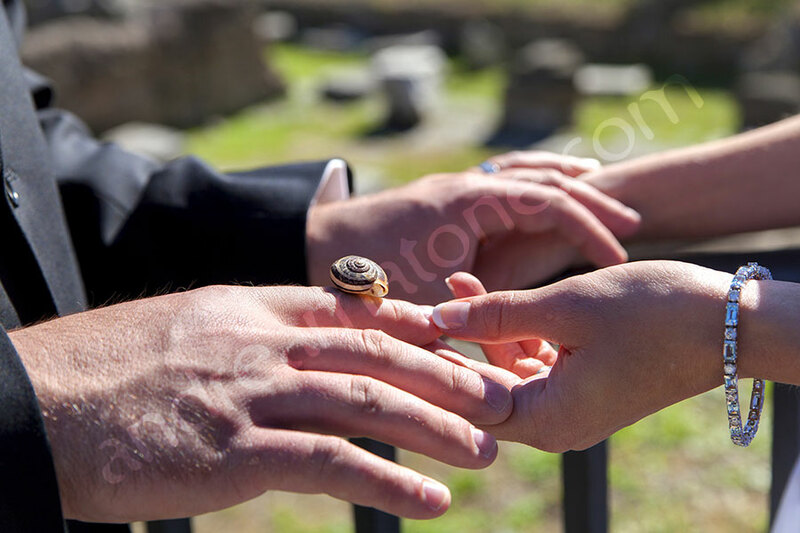 In front of Teatro Marcello we found a little snail which briefly participated in our photoshoot before setting it back on the grass! Just a quick stop over the Vittorio Emanuele landmark which gave off such nice bright light coming off all the white marble. 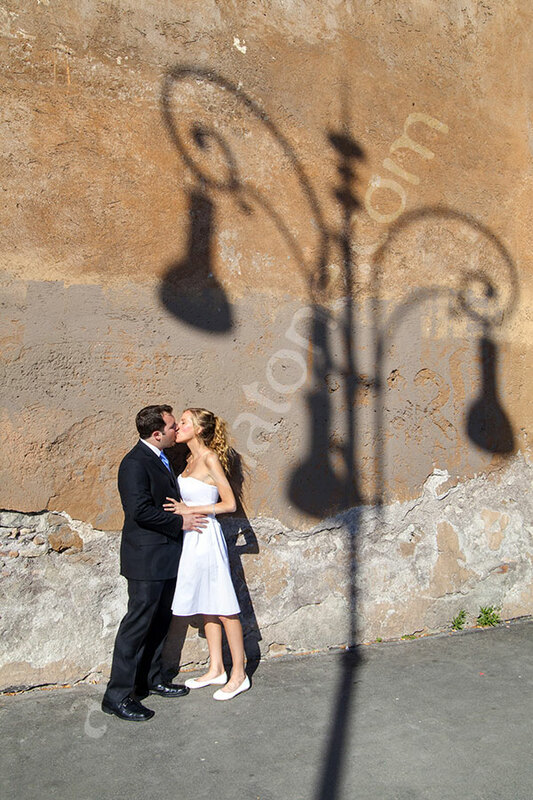 On our way to the Roman Coliseum the light pole shadow on the wall was irresistible! 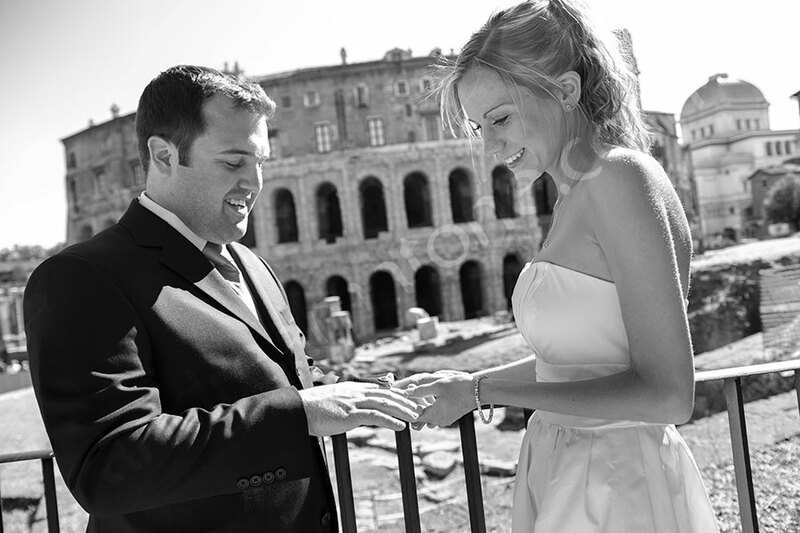 Getting married and taking your matrimonial pictures in a beautiful Italian city. On a splendidly sunny day.